The foundation stone for National Centre for Ageing was laid by the Prime Minister Narendra Modi at All India Institutes of Medical Sciences (AIIMS), New Delhi. The Centre will be developed at cost of Rs. 330 crores and shall be completed by February 2020. The Centre will provide state of art clinical care to elderly population and shall play key role in guiding research in field of geriatric medicine and related specialties. It will also serve as key training facility for under graduate and post graduate courses. He also inaugurated underground tunnel providing connecting facility between AIIMS and JPNA Trauma Centre, reducing commute time between the two centres. As a part of “Transformation of Aspirational Districts” programme of PM Narendra Modi, the NITI Aayog on June 29, 2018 launched the first Delta Ranking (Incremental Progress) of the Aspirational Districts based on self-reported data of districts between March 31, 2018 to May 31, 2018. The data was received on five developmental areas- Health and Nutrition, Education, Agriculture and Water Resources, Financial Inclusion and Skill Development, and Basic Infrastructure. The purpose of Delta Ranking of Aspirational Districtsis to spur a sense of competition among the dynamic teams in the districts. As these districts face many challenges including legacy, weak resource base, deficit of manpower, etc, the ranking is also a tool to identify sectors and indicator specific challenges so that Team India hub, which is driving this programme, can take immediate corrective measures. Dahod district of Gujarat improved 19.8 points to rank 1st in the Delta ranking and was Ranked 17th in Baseline ranking. The Integral Coach Factory (ICF) for first time has rolled out three phase energy efficient eight car Mainline Electric Multiple Unit (MEMU) train set built with stainless steel bodies in Chennai, Tamil Nadu. MEMU is suburban train system that caters to needs of medium distance inter-city passengers. The stainless steel MEMU consists of eight coaches with total carrying capacity of 2402 passengers. The MEMU is manufactured with stainless steel coach body and has aerodynamically shaped stainless steel front end nose for reduced air resistance, thereby saving energy. Its maximum speed is 110kmph. It runs on self-propelled 25 kv AC Overhead Traction, supported by Regenerative braking system. It saves energy consumption up to 35% as compared to conventional EMU and MEMU trains. Union Minister of Commerce & Industry and Civil Aviation, Suresh Prabhu on June 29, 2018 launched a mobile application “ReUnite” to track and trace missing and abandoned children in India. This app has been developed jointly by NGO “Bachpan Bachao Andolan” and IT major Capgemini. The app is multiuser where parents and citizens can upload pictures of children, and provide detailed description like name, birth mark, address, report to the police station, search and identify missing kids. Amazon Rekognition, web facial recognition service, is being used within the app to identify missing kids. Every year, around 44,000 children go missing in the country, of which, just 11000 are rescued. As per the BBA study, 117480 children were reported missing, 74209 were traced and 41546 remained untraced in two years between 2008 and 2010. NITI Aayog has signed Statement of Intent (SOI) with Gujarat Narmada Valley Fertilizers & Chemicals Limited (GNFC) to work together for implementing Proof-of-Concept (PoC) application for fertilizer subsidy management using Blockchain Technology. Under this collaboration, NITI Aayog and GNFC will jointly develop PoC application, undertake research, develop blockchain solutions, exchange learnings across their networks. PoCs learnings, insights and outcomes will enable NITI Aayog to suggest policy recommendations and actions in strengthening subsidy mechanism, making it more transparent and immune to leakages. 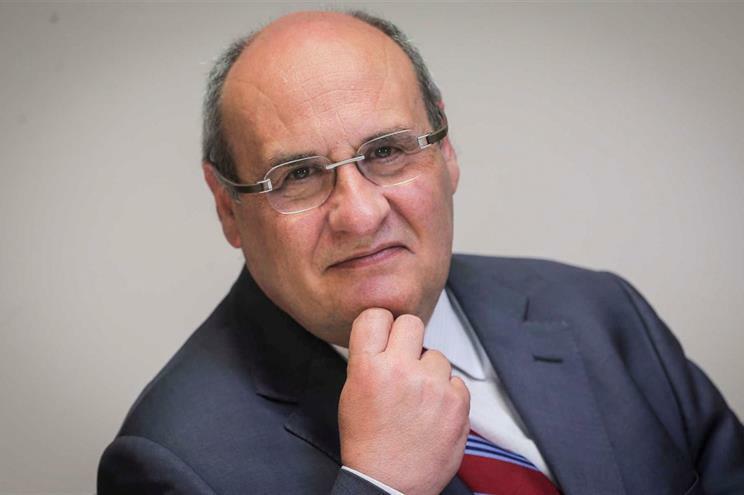 Portugal’s Antonio Manuel de Carvalho Ferreira Vitorino (61) was elected as next Director General (DG) of International Organization for Migration (IOM), an UN Migration Agency. He will succeed incumbent DG William Lacy Swing who will be stepping down after completing the second of two five-year terms. Antonio Vitorino had earned degree from University of Lisbon’s School of Law in 1981, as well as Master’s Degree in Legal and Political Science. He was elected to Portugal’s Parliament in 1980. In 1983, he was made Secretary of State for Parliamentary Affairs. He had served as Minister for National Defense and Deputy Prime Minister within government of Antonio Guterres, who is now United Nations’ Secretary General. Odisha Government has signed Memorandum of Understanding (MoU) with Regional Integrated Multi-Hazard Early Warning System (RIMES) to enhance effective management of all kinds of disasters. The collaboration is aimed at automating risk management, advisory generation and dissemination. The partnership has been forged between Odisha State Disaster Mitigation Authority (OSDMA) and RIMES in field of drought monitoring and early warning for different natural disasters. The collaborative effort aims at enhance early warning system for effective management of all kinds of disasters like flood, drought, heat wave, lightning and road accidents in the state. Initially, the MoU will be in force for 5 years with cost involvement of about Rs 8 crore. Under it, efforts will be made to create open-source software platforms and public domain data sets using weather and climate information, sourced from the India Meteorological Department (IMD). Madhya Pradesh was awarded by Union Ministry of Health and Family Welfare for reducing maternal mortality under Prime Minister’s Safe Motherhood Campaign (Pradhan Mantri Surakshit Matritva Abhiyan-PMSMA). The state was awarded for registering unprecedented 48-digit decline in maternal deaths from 2014 to 2016 as per report of Registrar General of India (RGI).A significant 22% decline in the last three years has been recorded in the state. PMSMA or Prime Ministers Safe Motherhood Campaign was launched by Ministry of Health and Family Welfare to provide free health check-ups to pregnant women at government health centres and hospitals in both rural and urban areas. It is national programme that aims to provide pregnant ladies free ante-natal services (ANC) and required treatment for free on 9th of every month. 1. Which district has been ranked first as per the first Delta Ranking (Incremental Progress) of the Aspirational Districts? 2. Where is the first Mainline Electric Multiple Unit (MEMU) train with stainless steel bodies is going to be build? 3. Who launched the app "ReUnite"? 4. Which IT major along with an NGO developed the "ReUnite" app? 5. Who has been elected as next Director General (DG) of International Organization for Migration (IOM), an UN Migration Agency? 6. What is the aim of the Memorandum of Understanding (MoU) signed with Regional Integrated Multi-Hazard Early Warning System (RIMES) by the Odisha government? 7. Which state was awarded for reducing maternal mortality under Prime Minister's Safe Motherhood Campaign?